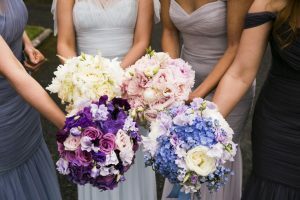 When we meet couples in our showroom, at wedding fairs or at wedding venues we are asked loads of questions about themes, colours, what we can do to transform a venue, which flowers will be in season and how they can have a wedding that looks a million dollar without actually costing that much! We’ve decided to put together a blog where we’ll discuss everything from table centerpieces to fairylight backdrops, brides bouquets to alter arrangements and venue to church decor to cover a few of these topics and help you plan your dream wedding. We’ve been operating in Kildare since 2008 and have staff who have been the wedding industry for 20 years so we’ve seen it all!! Our areas of expertise are wedding decor, wedding flowers and church and civil ceremony decor. For the most part we offer wedding venue and ceremony decorations for hire and a floral service – we can help you pick a style for your wedding and then use our decor items to transform your venue as well as providing all floral arrangements, bouquets, buttonholes, etc. as required. Finesse Weddings also offer a planning service for overseas brides planning their wedding in Ireland or Irish brides who just need an extra helping hand for their big day. Planning a wedding can be daunting when you first start out so we’re here to help in any way we can. Over the next few weeks we’ll be posting about different decor ideas, themes, weddings flowers and more to keep you up-to-date on wedding trends and items you can use to make your venue sparkle a little bit more ???? If you like anything you see or if you have any questions you want us to answer reach out to us via email at info@finesseweddings.ie or give us a call on 0868510726. We also have a showroom in Rathangan, Co. Kildare which is open for couples to visit by appointment, you can book yours by contacting us on the info above.